With only 3 races left in the season leading up to this race I was in 2nd place by 14 points. I know I can beat the guy currently in 1st as long as I finish the race, it is the guys behind us in points that are stupid fast lately. 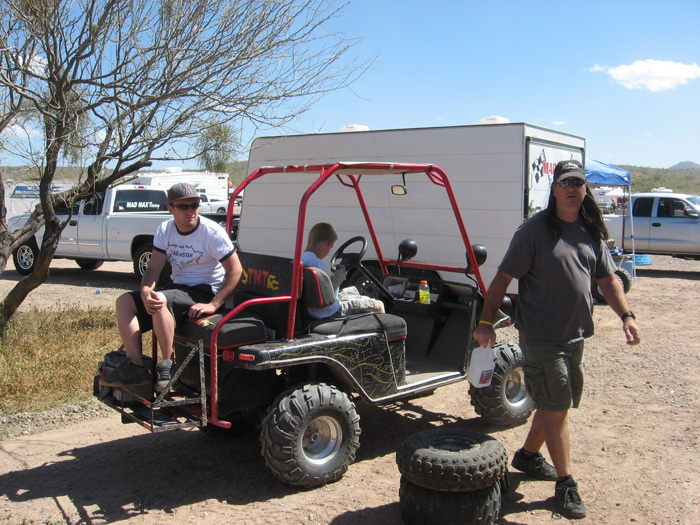 This race took place at the Ft Mcdowell rodeo grounds / mx park. I hadn't been to the gym in over a week because of a sprained wrist so I was a little nervous. 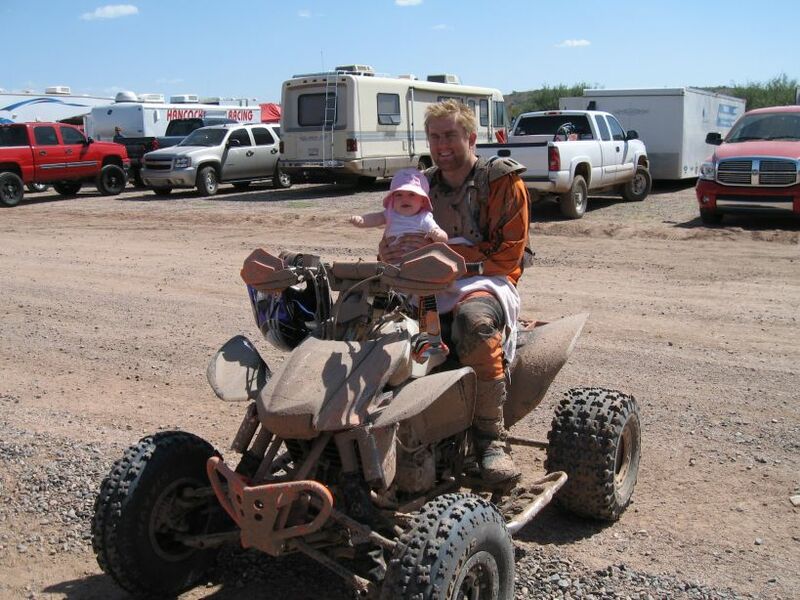 I also haven't ridden much lately because the quad was in a billion pieces. The race is supposed to be 1 hour plus one lap. Green flag dropped and I was midpack (out of 12) at the first turn. After 2 laps I remember passing quite a few pros and when I came by the pits adam said I was only in 5th for my class. My hands started swelling up and hurting like hell. This hasn't happened for about 6 months so it bummed me out. It makes it so I can barely hold onto the bars. Eventually #105 caught me and I waved him by. I paced him for the rest of the race which put me in 6th place. There is a section coming out of a fast straight away where this guy kept slowing down early and I would keep it pinned in 5th and pull a few bus lengths on him. I knew this would be my spot to pass him on the final lap. 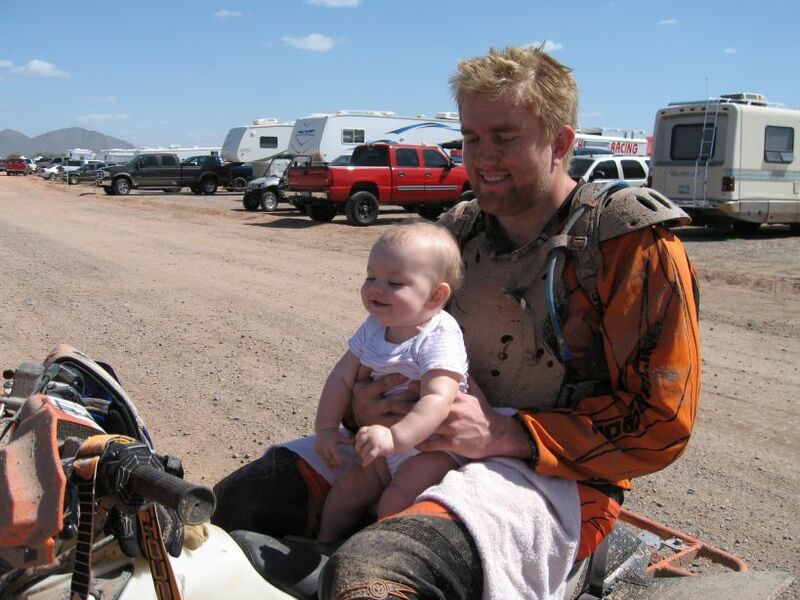 After this zone is the mx section of the track where he seemed to be faster than me so I knew I would have my hands full holding him off. I kept pacing him and eventually my hands quit hurting but I felt a giant blister brewing on my left hand. Finally the white flag dropped (turns out we raced about 70 minutes before the white flag) and I went as hard as I could. I was all over him leaving the wash section and he tried to hold me off. We got to my passing spot and I had all kinds of momentum when he pulled in front of me and cut me off. I started yelling like a crazy person and I think it freaked him out because he slowed down more and I zig zagged to the left and passed him. I kept going very hard and when I looked back he was far back. I ended up beating him by 25 seconds on that lap and I took 5th. There was 2 new guys at this race one of whom races pro MX. He decided to race expert in whiplash and he ended up killing everyone in our class and finishing 10 seconds behind the top pro. 2 of the indian kids beat me too and the guy who is first in points finished 7th. So I gained only 2 points on him. My finishing time would have been good for 2nd in senior pro (30+) which would have won me some money and I think I would have had 4th in open pro. The expert class was just crazy fast this time.